The PECOTA Projections are now available at Baseball Prospectus. They were released earlier this morning and you can see the team projected standings here. 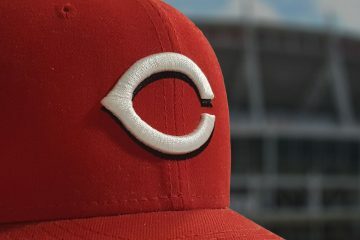 The system has the Cincinnati Reds finishing at 81-81, tied for last place with the Pittsburgh Pirates, and one game back of the Chicago Cubs. They have the Brewers at the top of the division once again, projected for 89 wins and the second best record in the National League. The Cardinals come in at 86 wins and a second place projection. Let’s jump into what they say about the Reds as a team, specifically. It projects Cincinnati to score the most runs in the division, and third most in the National League – trailing just the Dodgers and Rockies. But, it also has the Reds allowing the second most runs in the league, trailing just the Miami Marlins. The runs allowed total isn’t just a pitching issue. The Reds defense is projected as the second worst in the National League. Their fielding runs above average sits at -16.4 as the team is currently constructed. Only the Phillies are rated lower among National League teams, coming in at an incredibly poor -27.9. Almost across the board the Reds defense is below-average. Joey Votto is the only player projected for full time play that grades out above-average defensively for his position. However, it’s worth noting that Scott Schebler, Nick Senzel, and Yasiel Puig are projected as the starting outfielders and all have slightly above-average grades. They, however, are all projected to get less than a full slate of playing time as there are plenty of plate appearances also going to Jesse Winker and Matt Kemp. The playing time is where, as currently constructed, the Reds could improve on the overall projections. Looking at the outfield I believe both Puig and Winker get more time. Puig is only projected for 500 plate appearances. Winker is only projected for 366. Assuming both guys are healthy, I think they both get more than that. If so, that would be an improvement for the offense and the defense. The upgrade would be small, but in a tight race within the division, that matters. 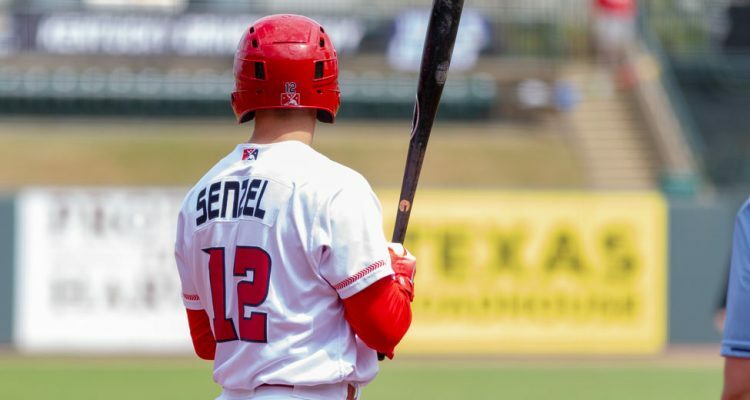 As we have all been saying this winter, though, the wild card remains Nick Senzel. They are projecting him for a good chunk of playing time – 462 plate appearances. That doesn’t feel incorrect on the surface. He’s getting playing time everywhere in this breakdown. With all of those plate appearances, only 224 of them are coming as a center fielder. He also has time at third, second, left, and as a pinch hitter. If he were capable of locking down center field, and only needing to be replaced late in some games for defensive purposes, or not at all, that’s going to give the offense a bit of a bump, too. Projections are fun to look at. The PECOTA ones give a little extra compared to the others right now because they break down the lineup and playing time. That gives a little more insight into why the projection says they are likely to win X number of games. 5 – The pitching seems a wash – not yet convinced the SP will be much good, and the RP will regress a bit. Still 81-81 is optimistic, especially considering it ties for last – now off to see if any division as ever had all finishes at/above .500. Peraza at 602 PA seems odd? He is the unchallenged SS without any injury history. There is not another SS anywhere to be found to challenge him. The one thing I found interesting is the babip on our pitchers were mostly below .300 and if our defense is so bad you would think more would be above .300. But the project is in-line with were I think we are at the bottom of division with the Pirates. I think we are more like a 77 win team just because of the tough division. If we were in the AL Central I could see 85 wins. Man it must be nice to be in the American League. Roughly 4 teams are actually trying to win. NL is interesting with only 3 teams projected under .500, only one team with more than 90 wins, and the other 11 within 5 games of the playoffs. I think the Reds batting overall looks pretty good with some hitters maybe a little high and others a little low than what I would think. Starting pitching is okay with some room for improvement, but I would take issue with their bullpen numbers, which are horrible. I do fear defense will be an issue. Honestly finishing 81-81 and within 5 games of the wild card would be a nice jump. Puig, as stated on mlb, is a dark horse for mvp and GABP May help him find consistency he’s lacked. I fully expect Gray to regain form. 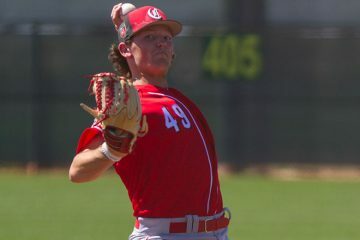 He’s not a true ace but he will be much better than any starter for reds from last season. Castillo or Mahle could easily take a big step forward this year and cement a spot toward top of rotation. Discos era seemed a tad unlucky compared to rest of his numbers. Garrett can become a dominant reliever. 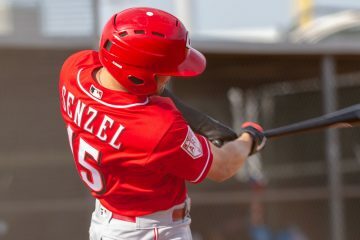 Peraza/winker/senzel can all improve the OBP from last season and that’ll take pressure off Barnhart if he’s reds catcher. Vottos numbers should be slightly better than last season Atleast. Reds won 67 games in 1960. Reds won 93 games and NL pennant in 1961. How? Traded away All-Star SS Roy McMillan for P Joey Jay. Moved 3B Eddie Kasko to SS (and share it with future All-Star Leo Cardenas). Traded away P Cal McLish for 3B Gene Freese. Replaced McLish with Jay. Traded away All-Star C Ed Bailey for 2B Don Blasingame, who would replace 2B Billy Martin in lineup. Replaced Bailey with rookie C (and future All-Star) Johnny Edwards along with rookie C Jerry Zimmerman. Inserted 1B Gordy Coleman into starting lineup and moved Frank Robinson to OF. Bumped Gus Bell to first OF off the bench. Gave OF Jerry Lynch an expanded role. Moved Jim Maloney to bullpen. Made Jim Brosnan closer along with Bill Henry. Brought up rookie P Ken Hunt and traded for P Ken Johnson to solidify rotation. ON PAPER the Reds traded away more and got back less in 1961 than this year. The Reds can easily get to .500 or better with the current roster. Better lineup. Better depth. Much better SP. Better bullpen. And better manager and coaches. Why not? Looks like the fish got someone to pay a high price to JTR. I am glad the Reds did not give up too much. Agree, Kluber type move w/ 3yrs control would help team more IMO. Nice 2 see Reds making / considering improvements, but right now appears only like a 2019 thing – no real long term commitment ?? Look good 4 150 yr anniversary then what ? My thinking was the two years. This year, we try to get better and see what we need, giving our young people another year. Next year we will have the budget and young people to fill in. And JT would be on his last year. Maybe he would love GABP but he would go to the highest bidder which we are not. Would have loved to have him, but too steep a price. Applying Baseball America prospect rankings to Fangraph’s prospect valuation model places an approximate value of $54M on Sanchez vice about $29M. Similarly, Alfaro and Barnhart have similar WAR projections (just above 2 WAR for 2019), but Alfaro can be controlled for 5 years vice 4 and will likely be less expensive with the next two years being played near the ML minimum. LHP Stewart is probably similar to a third player the Reds may have offered—essentially covering the value of a QO pick once Realmuto becomes a free agent. While prospect rankings/WAR/contract values are only one measure, a good argument can be made that a package of India and Barnhart would have offered a the Marlins a small premium over the value of Realmuto. Glad the Reds didn’t try to match the Phillies offer. Doug — I never know how much weight to give any of these projections. It would make for an interesting article (at least for me) to go back over past years’ projections (team and individual) to see how close any of these projection calculations got. I guess anyone can come up with a projection algorithm, but I’ve never seen a follow up to see who was close and who was way off. Here’s a decent look at how accurate they were a few years ago. Worth noting that some of the systems change their input data a little bit over time, and others don’t. Last year they had Brewers at 84 W. They won 96. They had White Sox with 10 more wins than they got. Reds were supposed to have 75 W last year. Oops. Reds pythagorean number wasn’t that far off. If you remove the Yovanni Gallardo shenanigans they were close. Reds don’t have many prospects teams want. I’m glad the Reds didn’t win the Realmuto sweepstakes. Especially if Siri was the 3rd part & international pool money was the 4th part. 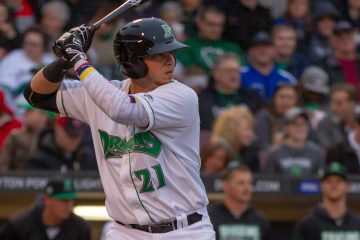 Reds need to acquire some international signing money, not trade any away. Agree with all but the international signing pool dollars—Reds remain in the penalty box until this coming July when the pools reset at the start of the next signing period. Right now, they can’t spend more than $300K per player. Obviously, I’m talking about July 2019 int. signing $s, Reds are not allowed to sign anyone over $300K until then. They’ve already traded away some signing money the last 2 years. All the more reason they shouldn’t have included 2019 signing money in a Realmuto trade, (which the Phils did). So what is the payroll looking like now? They seem to be done pitcher-wise, and Realmuto went to the Phillies. The Kemp/etc adds were offset by Bailey and cash. They signed all of 1 free agent this offseason in Zach Duke, and I can’t imagine that was for much as a guy who’s been worth 0.4 WAR the last two years combined. What happened to record spending? Where the Reds are at right now talent-wise, it really makes me worried that they will be not good enough for the playoffs, but too good to convince the FO to go in full sellers mode before the deadline with all these 1-year guys they have. It was one of the main reasons I wanted Realmuto, I thought it pushed them out of that middle ground and into reasonable playoff contention. Which is $17m short of the $130m number that was being floated around and basically what they spent in ’14. Meanwhile the league average payroll rose from $120m in ’14 to $140m in ’17-’18. C Trent said he didn’t expect any more big moves to happen. Don’t get me wrong, I am happy that they made SOME moves and I can actually enjoy watching Reds baseball past the first week of the season, but this really seems an underwhelming end against the expectations and hype that they built up of “getting the pitching”, “record spending”, and being linked to Kluber/Bauer/Keuchel/Realmuto and seemingly every other top non-Harper/Machado player out there this FA. You can’t force guys to sign with you. They offered money to JA Happ, who didn’t take it. They tried trading for Corey Kluber, who they couldn’t land. They seemed to be talking with Keuchel for almost the entire winter, but reportedly didn’t like something in his medical reports (which, if true, meant they made a legit good offer). I’m not going to hold their feet to the proverbial fire over the “all-time high payroll” with what we’ve seen them do and try to do. I believe that they money is there if they can/could have gotten the right player(s). Per COTS, Reds sit right at $120M, assuming Wood wins his arbitration hearing. I am as excited about the deals the Reds didn’t complete (Mets/Syndergard, Indians Kleuber, Marlins/Realmuto) as I am the deals the Reds completed (Tanner/Tanner, Dodgers, Gray/Gray). Appears to me that if a player who could improve the Reds comes on the market, the Reds are willing to make a bona fide offer & then hold their ground. Who wants more, or less?